Giving your business the online presence it deserves. Check out our recent web design projects. 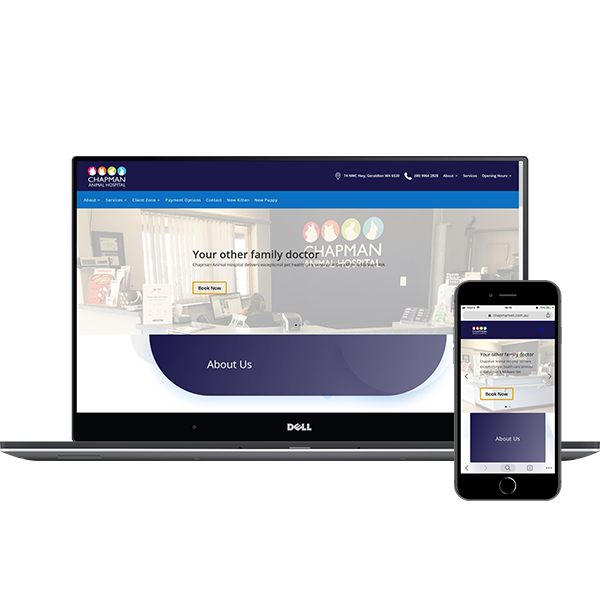 Chapman Animal Hospital approached us to renew & rebuild their outdated website. 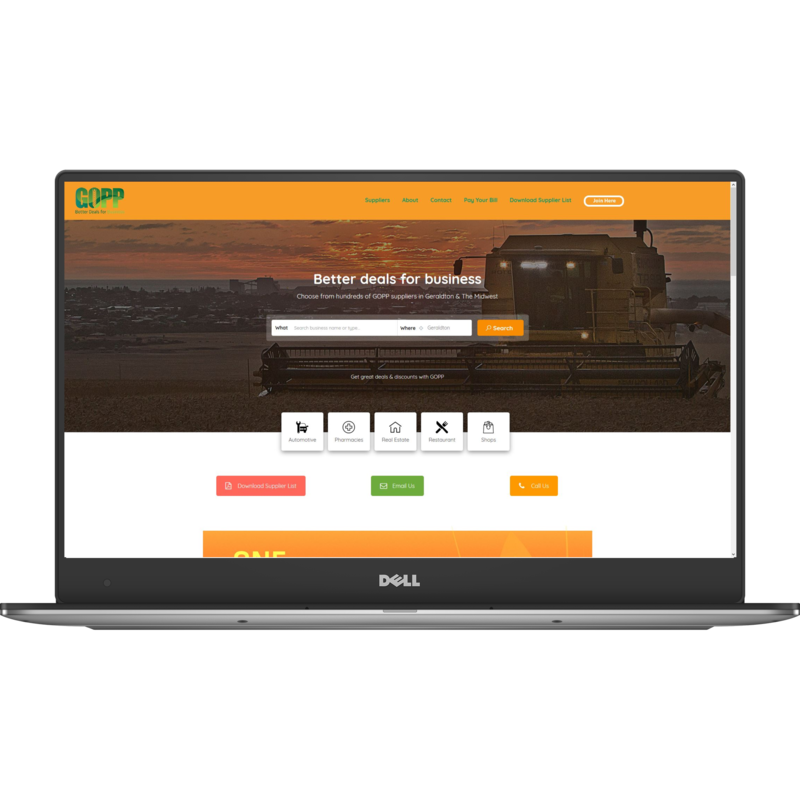 They approached us to rebuild their website to something in line with their brandring and prioritising ease of use for their customers. We design and build affordable, high-quality, beautifully presented websites. Offering Geraldton & Perth web design and management. We will help you achieve the perfect website to showcase your business online. Don’t miss out and get your business online today. People are searching for services related to your business right now. Our services range from full on website solutions, to managing branding & social media. Want to branch out to sell online? We can design a website that really sells. All our websites are hosted in-house, cutting out the middle man and enabling us to offer unparalleled support. Our Google accredited staff know how to get your website on page one and keep it there. In today’s device-driven world, it seems we’re all staring at a screen for the better part of the day. Imagine you’re suddenly in need of an electrician – Where do you look? If you’re like the rest of us, the first port of call would be a major search engine such as Google, Bing or Yahoo!. Chances are you will probably end up calling one of the top 4 business in Google. Search engines love great websites. And this is why those websites that are deemed good by the search engines will appear at the top end of the search engine results. We know what it takes to get a website to the top of the search engine result pages, and we build all our websites with this in mind. The other just-as-important factor which governs your website’s search engine success is user experience. UX is essentially how easy your website is to use, and how fast it loads. That’s why from the get go we work to optimise your site to load as quickly as possible, and keep it as simple to use as possible. 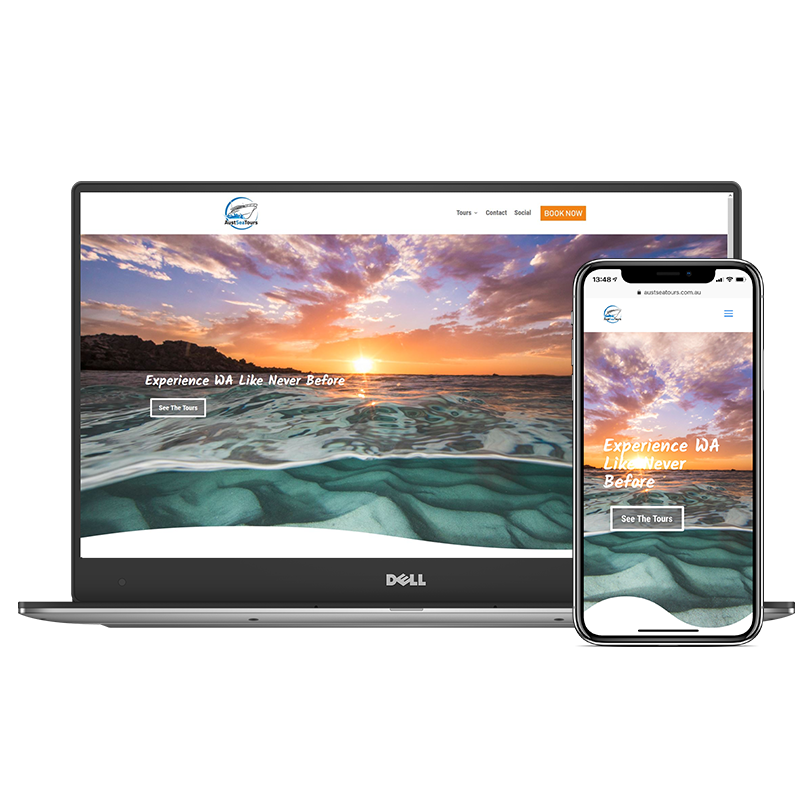 Tens of thousands of Google searches are made from Geraldton every single day, so if you don’t have a properly configured website you’re probably missing out on potential business. Our goal is to match your business with a whole new group of customers – We do this with amazing websites. Websites are much more than an arbitrary collection of pages – think of it as your online sales pitch. To truly use the potential of an active online presence, you need a website that sells. That’s what we create.